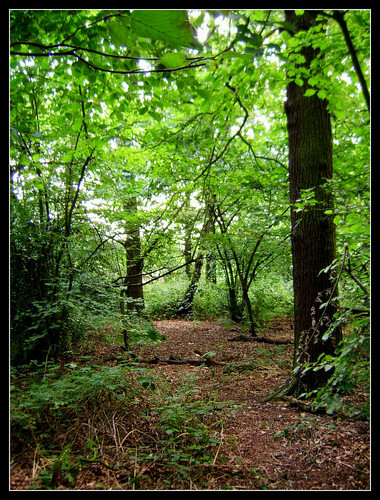 I took some pictures in Chaddesden Woods (which oddly enough is in neighboring Oakwood). This isn't actually part of the trail, but a clearing of sorts has occoured somehow. I thought it looked vaguely fantasy-esque.